Occupying a block in downtown Phoenix adjacent to Staples Center and City Center, Block 23 is a grocery anchored urban mixed-use project consisting of 440,000 SF of residential, office, parking and retail. This high-rise project incorporates 325 residential units in 13 floors with fitness center, private cabanas, pet spa and hobby workspace and shares a roof top pool amenity deck with a 5-stories, 160,000 SF large plate office tower. 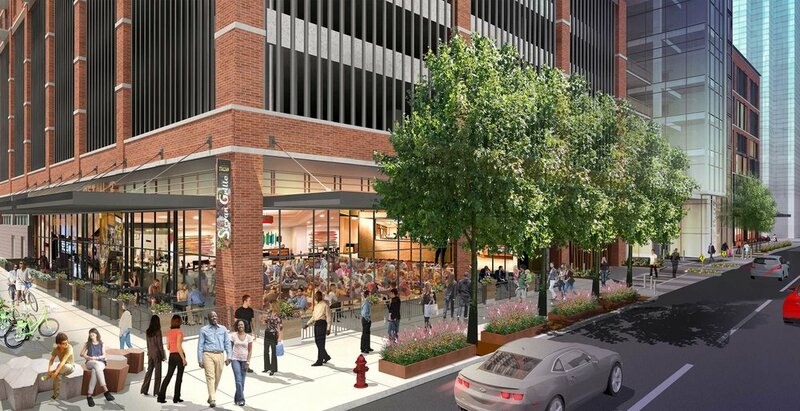 A 63,000 SF grocery store and 17,000 SF of retail/restaurant space are located at street level. 4,500 structured parking spaces for tenants are separated on 4 above-grade and 3 below-grade levels. The site has light rail lines on the north and south.